Is Performance Management Data Completely Backward? Does Performance Management Really Help Every Employee Become Their Best Self? Is Continuous Performance Management Here to Stay? Absolutely. 54% of employees in a McKinsey survey said [current] performance management has not had a positive effect on employee performance. Performance management remains a challenge for many organizations as the people, processes and technologies within the workplace evolve. Ever since Deloitte announced their revival of better performance management, the subject as a whole has been under fire. People hate performance reviews, but they need the ratings. However, when you look at the information… how accurate is your performance management data ? 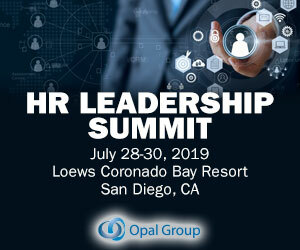 Among all the challenges HR professionals face, few are more important than measuring and addressing employee performance. Unfortunately, effective performance management is a topic fraught with questions: Are ongoing feedback sessions preferable to traditional annual reviews ? While this seems obvious, companies didn’t always focus on employee performance management to stimulate growth and satisfaction as they do now. But employee engagement is really a metric to understand the success of your overall employee performance management strategy. Automated Talent Management 1990s-2000s 2004-2012 2012-2017 2019+ Integrated Talent Management Engagement, Fit, Culture, Analytics Productivity, Performance, Teams AUTOMATE INTEGRATE ENGAGE PERFORM Talent Management: Integrated processes and. systems. Performance appraisal is not just about evaluating an employee’s performance in terms of his productivity but also the individual’s attitude, personality, behavior, and stability in his job role. The post Performance Management In SMBs appeared first on SutiHR. Whether you’re new to leading a team at your organization or have been in a management position for a while, trying to lead a group of people to greatness can be a daunting task. Master performance management by implementing these 4 pillars into your planning process. Research and feedback on traditional performance management systems indicates that the parties involved do not find the process valuable. Managers dislike it because it is time consuming, lacks timeliness, seems to always be done under pressure, and are often disputed. Performance management improvements are likely always on your mind. These are only some of the questions we want answers to, so we looked to the experts to see what they had to say about the best performance management strategy. How can you know you have the right system? About five years ago, I worked with a client who bristled at the idea of typical annual performance reviews. What they wanted to implement was a “conversation-based” performance review process. Workers want their managers to develop and guide them, not tell them what to do. After countless hours of research, you’ve finally come to the conclusion that your organization needs to implement a performance management system. Plenty of recent research shows that linking compensation conversations to performance reviews can lead to a toxic work environment. Performance reviews are crucial to track your employees’ work, their successes, challenges, and how they can grow in their position. Conducting effective performance reviews is important which is why it is crucial to ensure the performance process is as effective as possible. The landscape of performance management is changing. Over the past few years, more and more reputable organizations are bidding adieu to traditional performance management in favor of a more agile process. This is because agile methodology allows for faster response to the needs of a business and can be applied to all areas of performance management, from goal setting to feedback to rewards. What makes performance management agile? 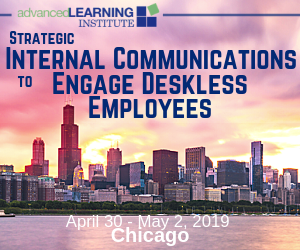 Using leading social science research as our guide, we will uncover why the key to employee engagement is highly intentional performance management. The Intersection of Employee Engagement and Performance Management. How much are disengaged employees costing your company? No one likes traditional performance ratings very much. Managers don’t want to spend their time shoehorning people into fixed categories, defending their choices, and communicating ratings that disappoint more often than they thrill. Meanwhile, almost everyone likes pay for performance. Traditional performance management processes have a very backward approach and structure. A Forrester Research report once stated, “The employee performance appraisal is an underperforming, periodic business process that is loathed by both employees and managers alike. Performance management—or the abandonment of it—is a hot topic. We just launched the results of a new High-Impact Performance Management study—the results of surveying over 1,000 organizations globally, across all industries, geographies, and sizes. 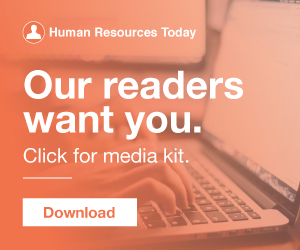 As we move into 2019, organizations of all sizes are once again reviewing employee performance management strategies. The traditional annual review is on its way out at more and more organizations, with increasing focus on continuous performance appraisal and management. I’ve spent a large part of the last year writing a book about performance management. . ” That question isn’t all that hard to answer when you look at the history of management and discover that it was based on a contractual, compliance-based model. The next generation of performance management will be employee driven and focused on contributions. Across the landscape of companies redesigning performance reviews, there is a diverse range in the way those systems are designed and implemented. By Derek Irvine. I’m about to introduce you to a proven methodology called Best-Self Management , that has led to unbelievable success at my company, and for every employee. Wouldn’t that lead to uncommonly high performance and loyalty? The modern management secret. In the span of a few scant hours, both of my clients used exactly the same phrase to describe their current performance management programs: “Our performance management program is fine.”. So what do people mean when they tell me their performance program is fine? Planning to renovate your performance management program? It will not only update your understanding of performance improvement methods, but it will also upend the beliefs that drive your current program. Rater bias is systemic and occurs at a statistically reliable rate. Performance reviews are going out of style. Morgan launched real-time feedback, and Accenture led the way back in 2015, citing bad ROI as the determining factor for eliminating its ratings and annual review program in favor of continuous performance management. Of companies that transformed performance management in the past two years, conversations increased 83% in frequency and 100% in quality, according to NeuroLeadership Institute.